At Chronic Conditions Center, we have a simple mission statement that strikes at the core of our purpose for doing the work we do. Our mission statement is our guiding principle in all that we do to find relief for our patients. Giving quality of life back to hopeless patients who are suffering from debilitating and chronic health conditions which no other doctor can help. Dr. Zuckerman is widely recognized as a leader in the non-drug treatment of peripheral neuropathy, chronic knee pain, frozen shoulder, disc bulges/herniations, fibromyalgia, migraine headaches, and other chronic pain and chronic metabolic conditions. 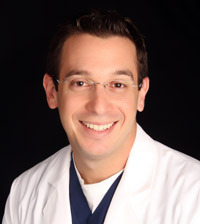 Dr. Zuckerman is a practicing chiropractic physician who has been in private practice in Boynton Beach, FL since 2004. He received his Bachelors’s degree in Biology from SUNY Binghamton in 1998 and his Doctorate degree in 2003 from Sherman College of Chiropractic. His clinic, Chronic Conditions Center, incorporates advanced treatments utilizing non-invasive technology, functional medicine and functional neurological protocols, Chiropractic care and Metabolic Testing and Nutritional Management for Symptoms Related to Chronic Conditions under one roof. His clinic has always been on the cutting edge of the health care industry. Currently, he devotes his practice to helping people with symptoms from chronic pain and symptoms related to metabolic disorders. If you have any questions about our Boynton Beach chiropractor, or would like to learn more about chiropractic care at Zuckerman Family Wellness Center, please call us at 561-752-4646 today! Let’s start the conversation! Fill out the form below and we’ll schedule your appointment today!